On the last day of November Chewie's class had a fun field trip to the Western Development Museum, the local boomtown museum, to see what Christmas as like in Saskatchewan a hundred years ago. Here he is, dressed like a little prairie farm boy. It's only the first week in December and we're already off and running. 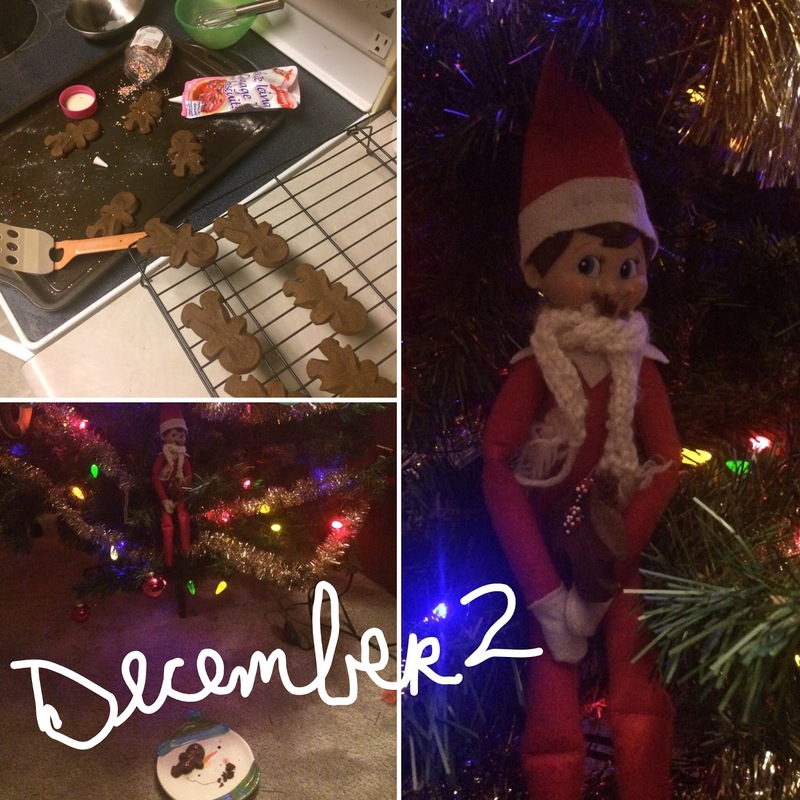 The most notable thing that's happened in our house right now is the return of our Elf on the Shelf, ElfyBulla. He's our Scout Elf that keeps an eye on the going on in our house and then reports back to Santa each night before finding a new place in the house to hide. The boys had been talking about ElfyBulla a lot in the past week or so, wondering when he would come back. They both had seemed to settle on December 9th, for some reason, as the date he'd make his triumphant return - so they were both super surprised and pleased when he showed up bright and early on the first of December. When ElfyBulla arrived to find we had not put up our Christmas Tree yet, he remedied the situation by making one of his own, and leaving a big mess, as always. We made sure to remedy the situation as soon as possible, and put up our tree that night. 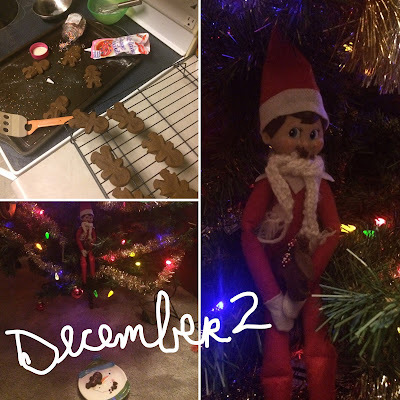 ElfyBulla was so excited to see the tree that he had to make some gingerbread cookies before finding a nice place in the tree to munch on his snack. 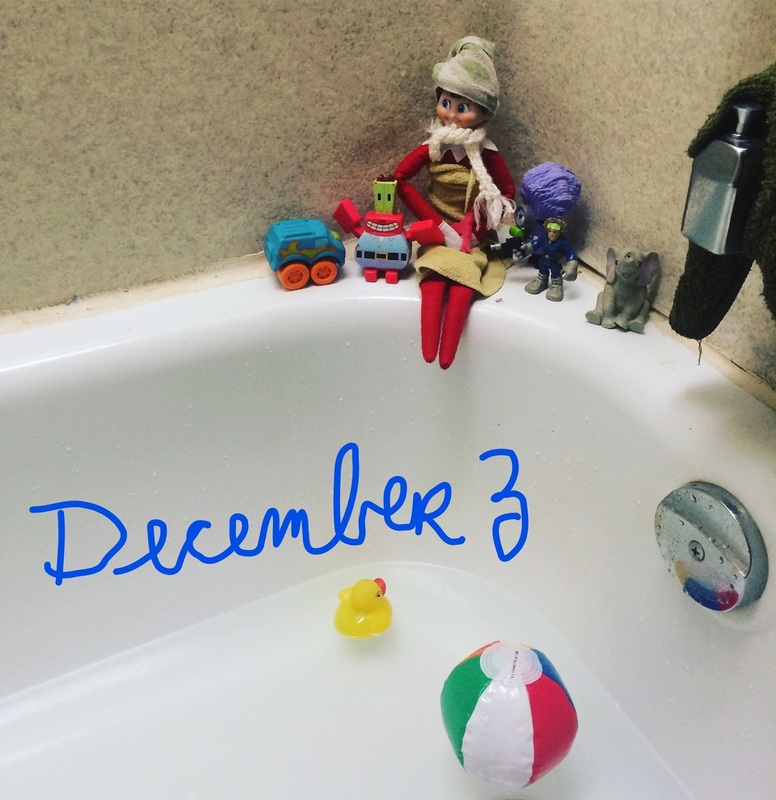 Day Three found ElfyBulla relaxing by the bath. The night before the boys had a very hilarious bubble bath, and it must have looked so fun to our elf, he had to have one too. Artoo thought it was very funny that he was wearing a towel. And December 4th found ElfyBully working out on the chin up bar, trying to get his summer bod ready, i guess The boys found this to be hilarious, and they have been telling everyone that he's just 'hanging out' on the chin up bar today. i caught this amazing shot of artoo yesterday morning as he was enjoying his morning smoothie. I tell you, he could really rock a moustache. don't you think? There's only 10 people in the world who could pull off a smoothie moustache like that, and he's nine of them. Weekly Challenge #296: "UMT - Moowa by Anya Ipsen, CZT"
I'm really excited about this month's UMT, because this is another one of those tangles that i've seen floating around facebook and the mosaic app and i haven't had the chance to use it yet. BUT NOW'S MY CHANCE!! Before you go this week, i just want to let you know that the last challenge of 2016 will be next week, December 12 - and then i will be taking the rest of the month off for Christmas - as i've done in the past - with the challenge resuming on January 9th, 2017! And if you're on the Zentangle Mosaic App or Instagram - i'm @iamthediva - come on by and follow me, and i'm going to be using hashtags on the app for each of my weekly challenges. So if you're game - use the hashtag #DC296(Diva Challenge #296) for your tile this week! You can also search in the app for people's contributions to the challenge by clicking on the hashtag from inside the app, or using the search function. Oh what fun! my son and his family have Alf the Elf who keeps them on their toes all December. One bad month a few years back, he even wrote a bad report, sent it to Santa WHO replied by the very next morning...that shaped things right up ;) looks like your boys are having a grand time with ElfyBully. And I'm glad you'll be taking the rest of December off...gives me a chance to catch up with challenges that I've missed recently. Just wanted to let you know that I found myself thinking, "Oo! It's Monday! Have to check in on the Diva!" And I realized that my excitement was, and is, always heightened by getting news from of your family. Thank you for sharing them, and your life, with us! Such delightfully fun memories you are creating for those precious boys! Pretty Moowa too! I like your tile a lot. Have a GREAT time without the challenge, enjoy the freedom and we'll be happy to see you again in 2017. Happy Christmas 🎄for you and your family!!!!! 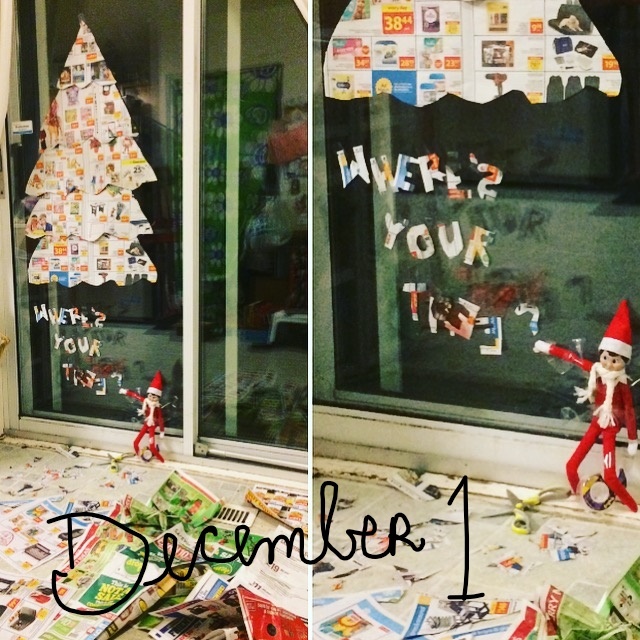 What great fun you have been having with the Elf and the boys! Fond future memories! 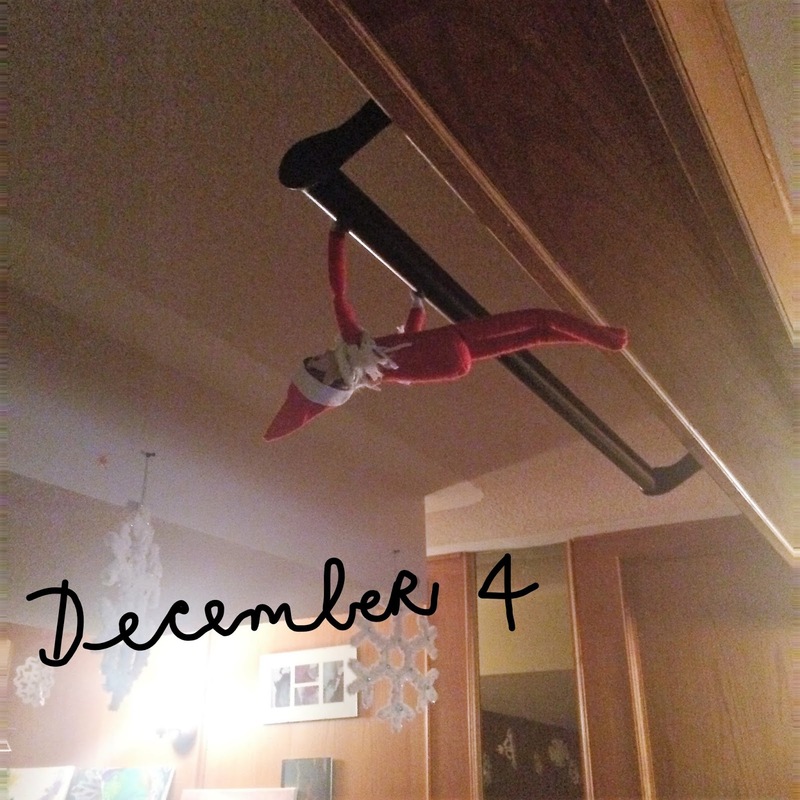 What a very clever elf you've found! Or did he find you? Thanks for the challenge and sharing your week with us. Love the Elf! Thanks for all the challenges. I only started participating a few weeks ago and it has been wonderful as I have connected with so many Tanglers and it has really enhanced my art. best wished to you and your family!! You are so lucky to have that fun Elf in your house! I want to live with you because it sounds like so much fun! Thanks for another challenge! Lucky you; getting to take off a whole month. You certainly deserve it. Have a wonderful Christmas, and a Terrific New Year. And enjoy your boys; the next thing you know, they'll be all grown up. Thanks again for all the work you do setting up these challenges. They always keep us on our toes. This is my first challenge in a really long time, and I'm thrilled to be able to participate! This tangle was a lot of fun to explore. Happy holidays!! !